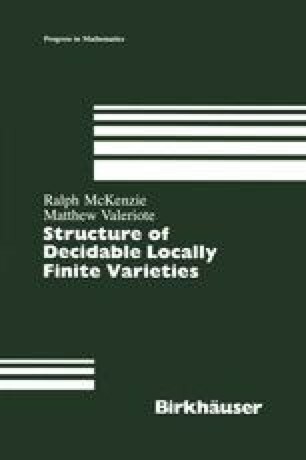 In this chapter and the next, we characterize the decidable, strongly Abelian, locally finite varieties. In this chapter, we reduce the task to the seemingly more modest one of determining those locally finite varieties of multi-sorted unary algebras that are decidable. In the next chapter, we solve this more modest problem.